August loot – How Do You Figure? Microsoft has teamed up with various internet merchants to offer rebates on products purchased via the Bing landing page. There are a few ways of discovering what stores are available, and a mostly complete listing is available at http://cashback.bing.com. As an alternative to the Cashback page, searching on bing.com will also net links. eBay, for example, works in this manner. By doing searches on strings like xbox, a link will often appear telling you what percentage you can get. Cashback on eBay is only valid on Buy it Now items and must be paid for using PayPal. Shipping charges don’t qualify for Cashback. Most eBay purchases now give you the rebate immediately after purchase in the form of PayPal credit. Most retailers require a 60 day waiting period before it is deposited. Enough plugging, on to the goods! I went a bit crazy this week and picked up a few beauties. I’d been eyeing the Mikuru bunny for some time now, and finally decided to jump on getting one. I’d also been searching for the Max Factory Naru after seeing several reviews raving about her beauty. 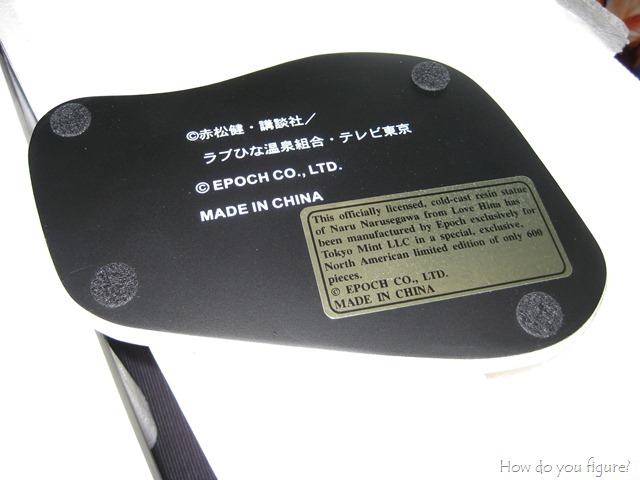 Unfortunately, the same search that found me that Naru also got me to an auction for the EPOCH Naru statue. For the price, I just couldn’t pass her up and put in a bid. 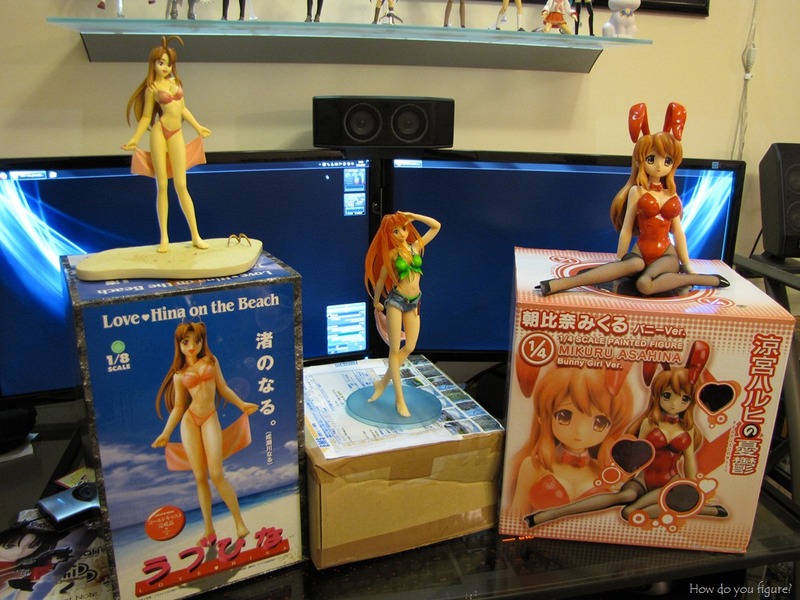 Moving right along to the EPOCH Narusegawa figure. She’s of a claimed 1/8 scale and probably has the most packaging out of any figure I’ve ever purchased. Opening the cardboard box reveals a Styrofoam block. 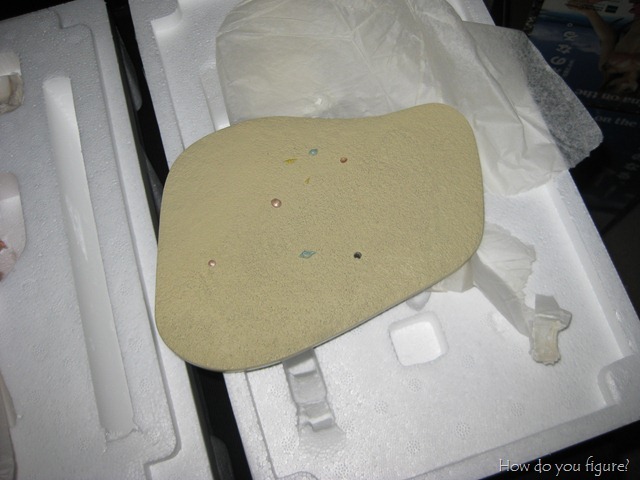 Naru was resting inside a mold and wrapped in tissue paper. The other neat thing about this particular rendition was that she came with a pretty impressive stand. Not only was it very detailed, but it was also extremely heavy and had a nice message on the back. She really is quite the beauty, though one of the things on this particular sculpt that stood out was that she didn’t have a flat stomach like most other figures I’ve seen. She actually has what appears to be ribs and muscle detail in the stomach area! She also has a rather sharp angled face, which caused some interesting challenges for lighting. Next up is the Max Factory Narusegawa. In comparison, the Max Factory is a much more “traditional” figure with semitranslucent hair, several option pieces, and a normal stand. Even though this particular sample didn’t include the original packaging, she still arrived in good condition with all her accessories. The only thing that seemed to have happened during shipping was the slight crushing of her antennae. They’re pretty pliable, so I was later able to pull them back into position. 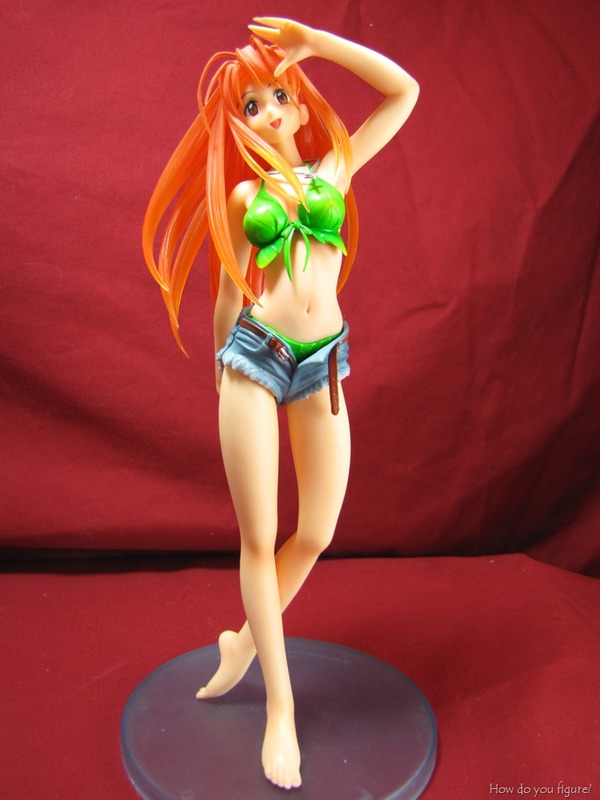 She comes with several options for display, including castoff-able shorts to reveal leaf bikini, ribbons for said bikini, and a shirt she can hold in her hand. 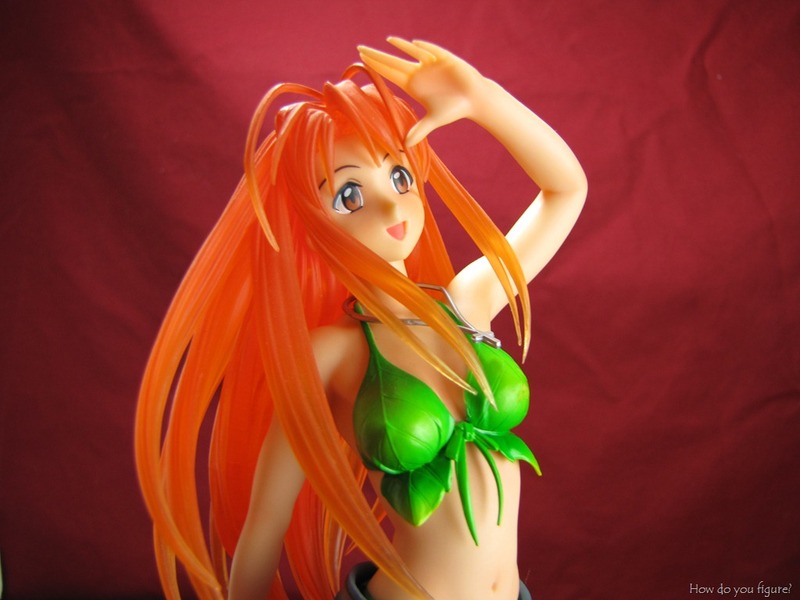 The material used for her hair is also translucent, so it has some nice effects when placed under lighting. After having a chance to experiment with the accessories, I came to the conclusion that the shorts weren’t a very good fit (seams on the sides) and she looked better displayed without them. For more photos (trust me, there are more), check out the full album! Does the Rebate just simply give you money-back, no questions asked? Narusegawa’s hair and face put me off..
Yep, it’s basically a rebate. I think for most stores, it’s a way of advertising. It’s also a way for Bing to provide folks incentive to use the search. The second is better, painting and colouring wise, but still dislike transclucent hair, and the face. Is it applicable when you pay with PayPal, or is it the one where you need an eBay credit card, which I passed on? If you do cashback for eBay, it’s only valid for Buy it Now items and you must pay with PayPal. The terms for other merchants are different, though you’ll always have to go to them via the bing.com landing page. It works for me, I buy stuff other than figures too, like, we’ve used to spend a couple hundred USD on Hordes/Warmachine miniatures every several months using Buy it Now, shame we didn’t know of the rebates. It’s a great way to get a little bit back. It used to have a 60 day waiting period, but most purchases now have instant cashback after payment is received.